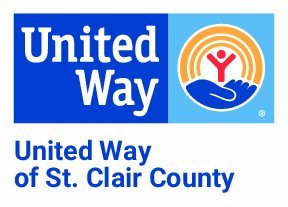 The United Way of St. Clair County has identified additional community needs in the following areas and provided assistance in coordinating and collaborating resources to fulfill these needs. The Federal Emergency Food and Shelter Program provides funding for agencies delivering basic human service needs to victims of personal crisis and unemployment. In St. Clair County, the United Way manages these funds as a service to the community. This year (Phase 34) $87,370 will be distributed in St. Clair County. Organizations that have have received EFSP funding include Blue Water Safe Horizons, The Harbor, Salvation Army, Downriver Helping Hands, St. Martin’s Lutheran Church Food Pantry (Marine City), Blue Water Community Food Depot (Port Huron), Harbor Impact Ministries, Trinity United Methodist Food Pantry (Algonac), SOS Marysville Food Pantry, Blue Water Area Rescue Mission, and the C3 Connection. United Way provides the management and accountability necessary to increase government funding in our community. Click here for a listing of Food Pantries and Soup Kitchens. Click here for a listing of Shelters.